USA Today Interview With Tracey For "State Of The Union"
LOS ANGELES — It doesn't take long for Tracey Ullman to name the thing she loves most about this country. "America," says the British actress, pausing to let one of her two rescue dogs jump into her lap, "has this ability to reinvent itself. It's amazing." The same can be said about Ullman, whose second season of State of the Union premieres Sunday on Showtime (10 p.m. ET/PT). 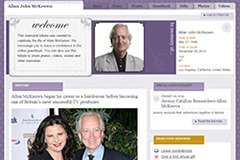 The show was hatched after Ullman, who has been married to producer Allan McKeown for 25 years, became an American citizen in December 2006. Now, she says, the gloves are off. "After all these years of living here, it's like a psychological barrier went away in my brain. I feel like I can say anything now; I feel so much a part of this place now," says Ullman, 49. "I feel like I can say more than I ever said now without fear of losing my green card or ending up in Guantanamo Bay." 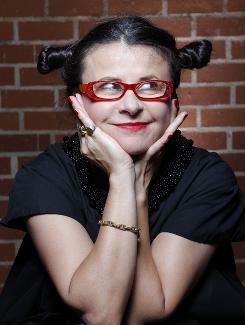 In the 1980s, Ullman showcased her natural ability to create relatable, hilarious characters via The Tracey Ullman Show and The Simpsons. In the '90s, she ventured to cable TV with Tracey Ullman: A Class Act, Tracey Ullman Takes On New York and Tracey Takes On ..., all award-winning sketch shows for HBO that allowed Ullman to let loose with her impersonations. In State of the Union, she parodies American life with sketches no longer than a minute and a half each. She jumps around from location to location, Google map-style, delivering her take on American life. "I like just doing character observations. It can be just a moment in time. It's not necessarily laugh-out-loud funny all the time. I've never done stand-up. I'm not a comedienne. I just love acting and submerging myself in characters." 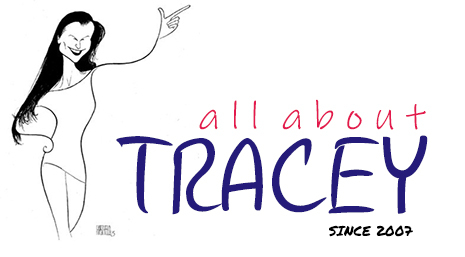 The show, which she writes with satirist Bruce Wagner, lampoons politics, pop culture and everyday life. In three weeks of shooting, she became 52 characters. Among them: Dancing With the Stars' Len Goodman and actors Seth Rogen and Jonah Hill. "That was hard for me. I was asking my teenage son how I should be, and he's thinking, 'Oh, God, my mom wants to be Jonah Hill. Why?' " she says, sliding in and out of character with each celebrity she ticks off. "I was a polygamist wife and had hair up to here. It was very interesting being a polygamist wife. I was very quiet and subservient. All the men on the crew quite liked me like that." 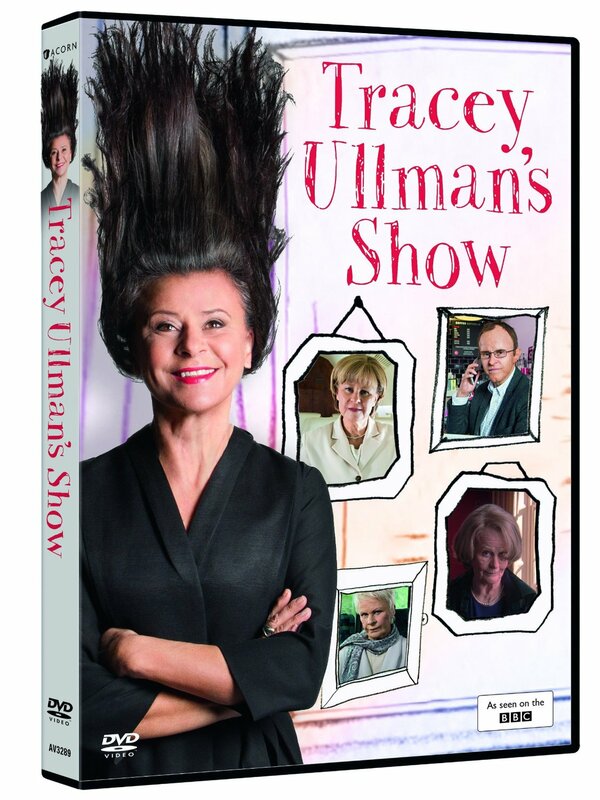 What excites Ullman the most isn't really that she's back on television. It's that other women are making their mark in television. She lights up talking about Tina Fey (who paid homage to Ullman in her acceptance speech at this year's Screen Actors Guild Awards) and Fey's success ("She knows my name!"). "Suddenly, you're the elder in the group," she says, laughing. "I have been doing this a long time, 25 years now. It's nice to feel that you're still relevant. People like Carol Burnett, Gilda Radner and Lily Tomlin were my role models. "America always had really good, strong women in comedy. I love that."